when i was 7 years old, my mom and i went to the humane society on valentine’s day and came home with a little black and gray kitten. my creative genius was already in full throttle at this young age, so i dug deep and decided to name her Valentine. she was very cute and almost certainly hated me. i am not and have never been the type of human into which cats can seem to avoid digging their claws and teeth. sure, these mini-attacks are quickly followed by some licks as if to say “i’m just playing, calm down.” despite the pink scratch marks that covered my little hands, valentine and i were doing just fine during our first month together. for the first twenty-or-so christmases of my life, i got a new wall calendar. it was always an exciting mystery as to which characters or theme would decorate the pages of each month — not as exciting as my new year’s eve tradition of using my colorful pens to copy birthdays into the new calendar (i think it’s safe to say that NYE has gone way downhill since childhood). 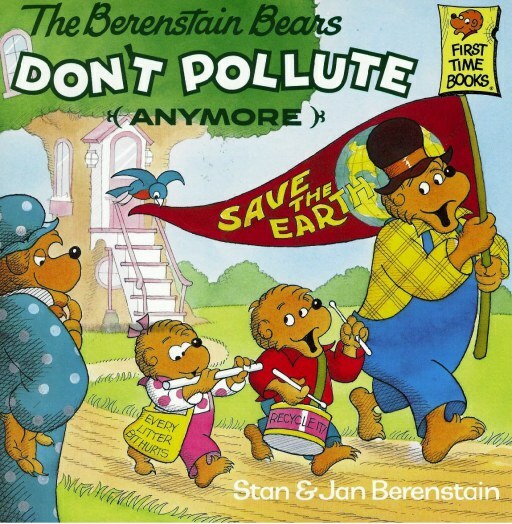 1994 was ushered in with a Berenstain Bears calendar that sported an environmental agenda. it was awesome – and i assume its production was affirmed after the publisher watched the classic “The Berenstain Bears Don’t Pollute (Anymore)” fly off the bookshelves. it was filled with tips about turning off the water while brushing your teeth, taking shorter showers, recycling soda cans, and organizing carpools to get to school. (this also should have been my first indicator that mom was doing santa’s dirty work.) of course, major holidays were printed on the appropriate days as they are in all calendars. the Berenstain enterprise chose to keep with the theme and make a bigger deal than most about arbor day, earth day, phases of the moon, and the like. on march 20, 1994, we were having some people over for burgers and my mom was picking up around the house. she had moved the load of towels from the washer to the dryer and walked back into the kitchen, when only minutes later, she heard a rhythmic thump coming from the laundry room. after mentally eliminating a pair of tennis shoes as a possibility, she darted to the dryer to find poor Valentine, a freshly fluffed and very dizzy kitty. dad rushed her to the vet, holding her in the car while she responded physically the way you might imagine after spending a few minutes in a running dryer. Valentine made it out alive that day — the vet told us it was good that the dryer was so full of towels so she had some cushion for her little spin. after the scarring faded from both my hands and my soul, we started telling this story with some regularity. and nearly every person i know has heard me tell it, probably around this time of year. and every year for as long as i can remember, my dad wishes me a “happy holiday” on march 20th or 21st, however the calendar falls (although, obviously, none of my calendars since 1994 have had quite the same impact). the beginning of spring is a wondrously hopeful occasion — a day on which you might find yourself so in awe of the new life blossoming around you that you may not notice a little ball of fur hopping in the dryer. it’s a day that brings the renewing sunshine (even if it’s overcast) whose promise has kept us trudging along, bitter and pudgy, through the winter months. it is a day whose official, fully deserved holiday status might pass by unrecognized without a helpful tip from those environmental (probably) Jewish cartoon bears… just not if you’re a Booth. from my family to yours, have a very happy holiday! *Valentine recovered fully from this incident, but ran away two years later for totally unrelated personal reasons.